Poppies and Poetry: Stylish Blogger Award? What!? I mean like Whoa! 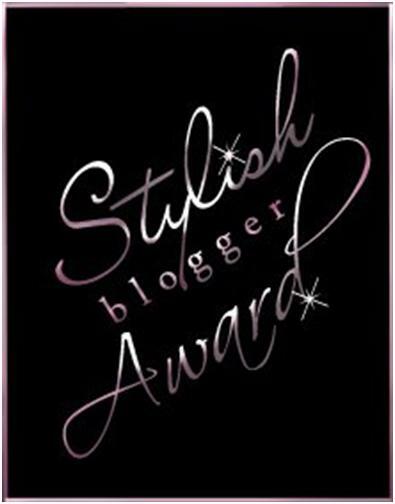 I just recieved the Stylish Blogger Award! What a wonderful surprise! I am so honored to receive a Stylish Blogger Award from the ever-so-lovely blogger Nifty Thrifty Things. Danke Schoen! 1. I love Jesus. As I've grown in relationship with Him my life has never been more full of grace, gratitude and love. It helps to go to an amazing church: Crossroads where religion is not the name of the game, but He is. Their offbeat ministry reaches this offbeat girl in a real way. 1. I'm a twin! I have a twin brother named Cameron who actually lives a street away and we have sons less than 6 months apart who are good buddies. It's nice to see him on a pretty regular basis and watch our kids grow up together. 3. I'm 1/4 Korean. You can not tell by looking at me per say but it's apparent in the shape of my eyes and face which I have passed down to my boys. 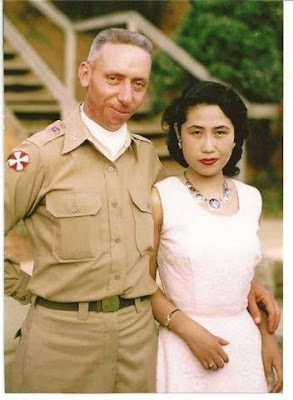 My Grandmother is 100% and met my Grandfather during the Korean war while he was over there. I'm so proud of my Korean heritage. Isn't my Grandma & Grandpa the cutest? 4. I balance my life with staying home with my boys and working part-time for a couture bridal accessory designer. I've been there the last five years and went PT after having my second baby. One fun perk is I get to go to Bridal Fashion Week twice a year in New York city to set up a showroom to sell our product to Bridal Salons all over the world. 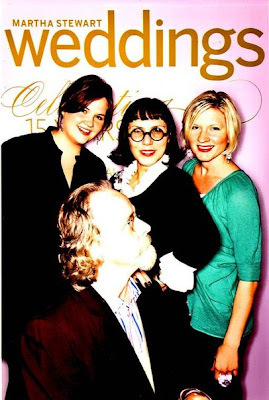 Every October during that week Martha Stewart throws a big 'ol party for the wedding industry and I've attended the last five years with the designer and my colleagues. The parties have been held in some awesome venues like Tavern on the Green, The Plaza and this last October it was at the Martha Stewart headquarters. The year it was at the Plaza I met Robert Verdi and I like to say we became BFF. See--I have a pic to prove it. 5. My Grandparents adopted me and raised me and my twin brother in their senior years. I couldn't have more respect for them. The sacrifice of spending their retirement years raising a set of twins when they has already raised 4 children, has greatly attributed to who I am. My gratitude is beyond measure. 6. I consider myself somewhat of a Hippie. I eat as close to the earth as possible, smoothie regularly, make my own baby food, recycle my old clothing into other things, love peasant skirts and advocate world peace. 7. I'm addicted to by Chucks (converse) shoes for my boys. They have them in array of colors and patterns for every size they grow in to. Maybe we have 20 or more pairs between the two of them?? Whew! I feel incredibly exposed sharing all that, but wonderful all at the same time. 3. 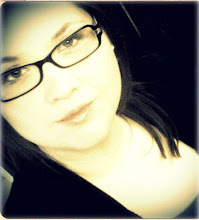 Award 15 recently (or sorta recent) discovered great bloggers. That's gonna be a toughie as there are some seriously inspirational peeps blogging it up out there. You deserve the award! You've got such a cute blog!! Thx to the '7 things about you' we've get to know you better! Tnx for giving me an award as well! Awww, thanks!!! I've had a case of the sickies today, but I hope to do all of this tomorrow. :) I enjoyed reading a little bit more about you. It was fun finding out so many things about you!! 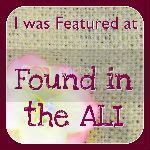 I have been "missing" from my blog for quite some time and just saw this! Thank you so much! wife of 10+ years,mother to two adorable boys, career-woman, coffee addict,chatty girlfriend, crafter, boo-boo kisser, Christian,music lover, domestic goddess, bargain shopper, coupon clipper, etsy shop owner, cupcake baker, wine lover, and now blogger.